Observe the details of the assembly. 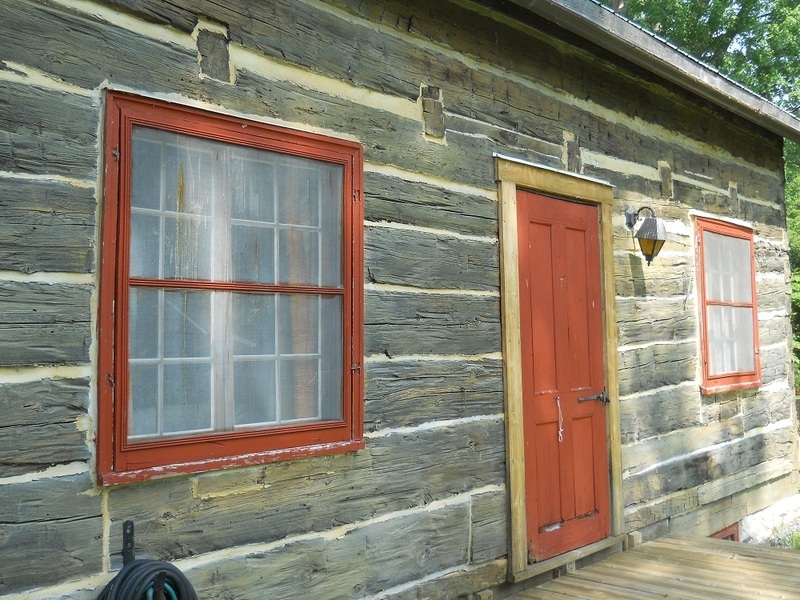 This small square-log cabin is contemporary with the arrival of the first contingent of American loyalists in 1784. It was built by Simon Lyster, a blacksmith. 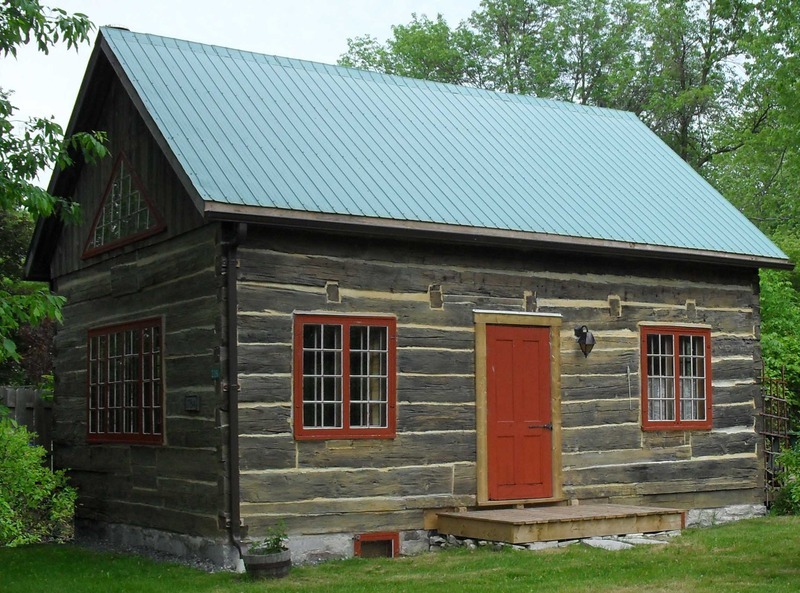 It is the oldest loyalist-style cabin still standing in Quebec. Lyster arrived along with 350 other Loyalists who had previously lived in the Hudson and Mohawk rivers valleys in the state of New York.